My multiple lives were bound to collide at some point. Moment One-I have an assignment in my writing class to bring a Non-Fiction picture book to class. We are preparing to create our own for our first project. Moment Two- I received a handwritten note from my roommate at the Arkansas Women Blogger Conference. In it, she expressed her thanks for the ride to the mountains and for the fun we shared. I was reminded of how great it is to have close friends that love you just because. 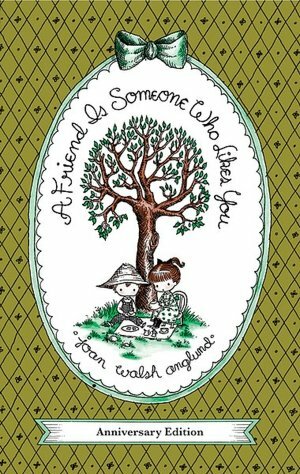 Add them together and you get this lovely little book by Joan Walsh Anglund, A Friend Is Someone Who Likes You. Written in 1958 this little primer about friendship is a must on every child's book shelf. The prose lets the reader know that everyone has the friends they need. It launched Joan Walsh Anglund's career. She went on to write and illustrate more than 120 books, which have been translated into 17 languages. The titles include fiction, non-fiction and poetry. Another of my favorites is Childhood is a Time of Innocence. Each of these books contains her signature children whose faces only had two eyes. 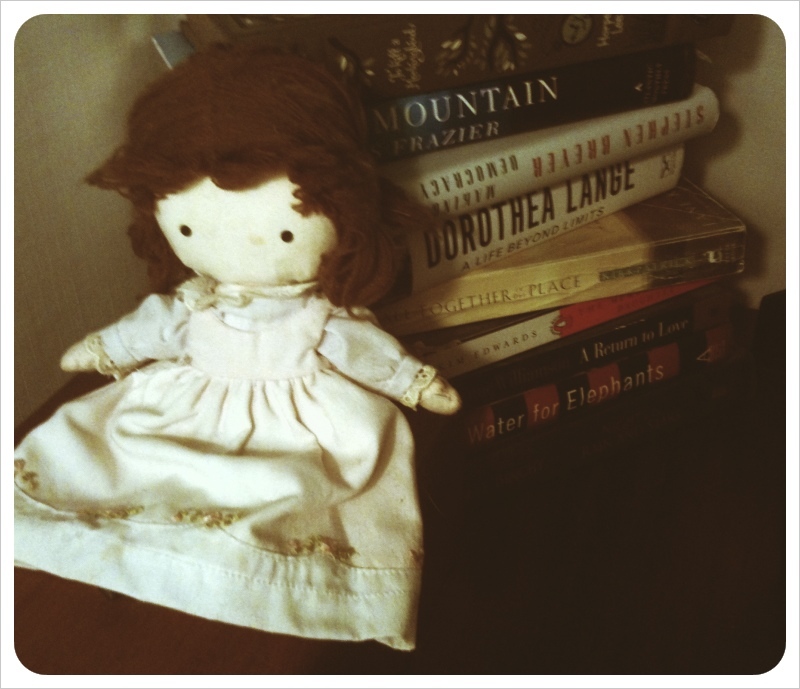 Not only did we have the books when I was a child, but I had a small doll that looked just like Anglund's characters. Here she is. 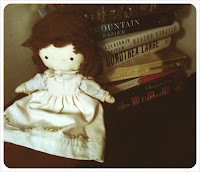 She still guards my books and reminds me that everyone has at least one friend. "Where did you find yours?" I forgot about this one, thanks for the reminder. Great gift idea for my kids. Nice to read this review.Well, I'm a writer. I have written an article about friendship and it was published in one custom writing service.Refer this website for more.Thank you so much for sharing this post.